Oliver Heath, Sustainable Architectural & Interior Designer Author and TV Presenter. Oliver Heath is a sustainable architectural, interior designer writer and TV presenter working on shows such as BBC's Changing Rooms, DIY SOS and ITV’s Dream Homes. His last book Urban Eco Chic is a practical and aesthetic guide to creating beautiful eco interiors and is now published in 7 languages around the world. He is passionate about making sustainable homes and lifestyles aspirational and accessible. He has recently started a social enterprise aimed at connecting neighbours to share skills, knowledge and to create groups. He believes that community is essential to help us all make the small changes to our lives to protect the future of our homes and environment. Duncan takes lead responsibility for the strategic development of Land within the Olympic Park. He has over 25 years experience in the property industry covering both the private and public sectors, including the position of Head of Programmes for the Homes and Communities Agency, where he took responsibility for the delivery of a number of national land and regeneration programmes. Justin leads on both British Land’s existing portfolio sustainability strategy and on CR reporting. He has been at British Land for ten years. Most recently he has led the company’s significant reductions in landlord influenced energy. Previously he led British Land’s transformation to a customer centric business, particularly focusing on relationship management with occupiers and performance of managing agents within the supply chain. Before British Land, Justin had some twenty years of international experience outside of the property sector in industry more broadly. Simon Wilkes has held the position of Head of Business Space Development at Legal & General Property (L&G) since 2003 with responsibility for managing all business space and residential development activity within the L&G portfolios. 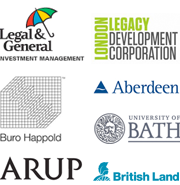 co-ordinating new development business, including the English Cities Fund, a regeneration joint venture. 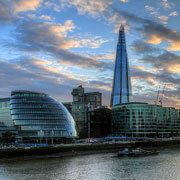 He has recently overseen the major world-class mixed use development by Renzo Piano at Central Saint Giles. Other major developments he continues to work on include Agar Street, 76 Wardour Street and 7 – 10 Hanover Square in the West End. Current residential projects include L&G’s Covent Garden portfolio and St George’s House, Croydon. Mauro Montello took on the role of Climaveneta Spa’s Sales & Marketing Director in 2008, after 2 years as Marketing Director. Prior to that he gained considerable experience and knowledge of the air-conditioning market at Clivet Spa, and in other sectors of durable industrial products. During his time at Climaveneta he has had an innovative and focused approach to both customers and distributors, enabling him to build an incomparable portfolio and a reputation for excellent results. He has been instrumental in creating a new and stronger brand identity and helped lead the company to operate increasingly as a successful global player in the HVAC market. Lesley is an Associate Director for Sustainability at Buro Happold. Lesley has been involved in cutting edge engineering design and construction, engaging communities in infrastructure development, attracting and directing public financing and funding, leading built environment sector development for government and acting as clients’ representative and partnership working for organisation change. The pursuit of sustainable development has driven Lesley’s career. With her skills, the experience of working across the built environment sector and a wide network of contacts and associates she is committed to assist her clients to progress their goals. Lesley is on the advisory boards for the West of England Local Enterprise Partnership, the Institution of Civil Engineers and Association of Sustainability Practitioners as providing strategic leadership through active participation on their advisory boards. Mike Lawrence is a Lecturer in Low Carbon Design within the BRE Centre for Innovative Construction Materials in the Department of Architecture and Civil Engineering at the University of Bath. He specialises in Natural Building Materials and in the optimisation of the fabric of buildings to minimise in-use energy consumption. Since joining Ove Arup & Partners in 1988, Dr James Thonger has been deployed as a senior mechanical engineer and Associate Director on major projects in the UK, Central Europe, Hong Kong, Mexico and the Middle East. Recently, he has worked on Unilever House (the refurbishment of the Unilever Headquarters in London), Central St Giles (a mixed use city development), 122 Leadenhall Street (a 45 storey development in the City of London), and The Olympic Village (master planning advice on the Sporting accommodation for the London Olympics in 2012). Dr Thonger has been a Training Mentor for over 15 years for both the IMechE and CIBSE charterships. Mat helps clients understand their specific sustainability risks; make the economic case to achieve their goals and advises on medium to long term property strategies. He is a chartered building surveyor with 20 years experience in property and construction. Andrew Smith is Global Head of Property, and a member of the Group Management Board. He joined Aberdeen in 2002 as Head of Investment Strategy, and subsequently fulfilled a variety of fund management roles before taking up his current responsibilities in 2010. He has served on a variety of industry steering groups for organisations such as INREV, the Investment Property Forum, the Royal Institution of Chartered Surveyors, the National Retail Planning Forum, the Investment Property Databank and the Bank of England Property Forum. He currently chairs the Investment Property Forum Research Committee and IPD's Global Pooled Property Funds Consultative Group. He is a member of the Editorial Board of the Journal of Property Investment and Finance, and is a regular contributor to conferences and seminars internationally.